My fourth act was to buy Starbucks for the person behind me in the drive through. This one was in honor of Olivia Engel. 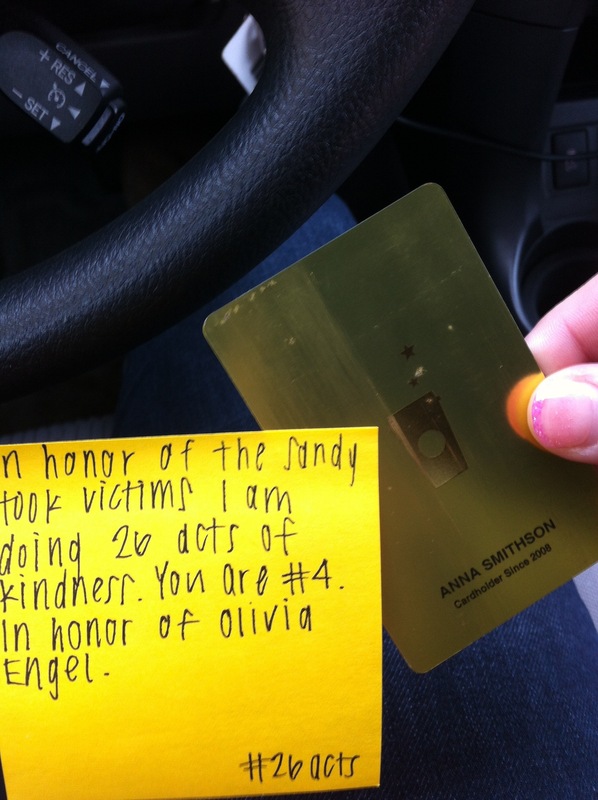 Dear Anna: What a beautiful idea. Please see my blog oldreligious guy.blogspot.com. Hi Pastor Griffiths! I’m so glad you’re touched by my post and even happier to go to your blog and discover that it’s catching on!